​The Los Angeles County Sheriff’s Department – the fourth largest local policing agency in the United States – has taken another step towards building the biggest biometric database outside of the FBI’s by inking a new $24 million contract. NEC Corporation of America – a Texas-based IT firm that provides biometric services to commercial entities, law enforcement groups, and governments around the globe – announced on Monday that it’s been awarded a multi-year contract by the Los Angeles County Sheriff’s Department to provide the agency with specialized, state-of-the-art policing services, including high-tech facial recognition software. Previously published paperwork out of the LA County Board of Supervisors reveals that the Sheriff’s Department requested approval last year for a $24.4 million contract with NEC that would provide the agency – the largest sheriff's department in the US – with biometric identification services for six years. The board authorized that request in December, setting the stage for NEC to soon provide area law enforcement with a new toolkit with regards to investigating criminal activity and tracking down suspects within a jurisdiction that includes roughly 2.6 million residents. According to a statement put up by NEC Corp. this week, the deal will allow the LA Sheriff’s Department to access fingerprint, palmprint, face, voice, iris and DNA matching capabilities offered through the company’s Integra ID 5 Multimodal Biometrics Identification Solution (MBIS), as well as the NeoFace program touted by NEC being the “most accurate facial matching product” available in the world. According to ananalysispublished by the Center for Investigative Reporting last year, the database being offered to the Los Angeles County Sheriff’s Department, once complete, “would augment the county's existing database of fingerprint records and create the largest law enforcement repository outside of the FBI of so-called next-generation biometric identification.” It is scheduled to be fully installed and operational within three years, according to the Center, althoughother reportshave indicated it may take only half that. 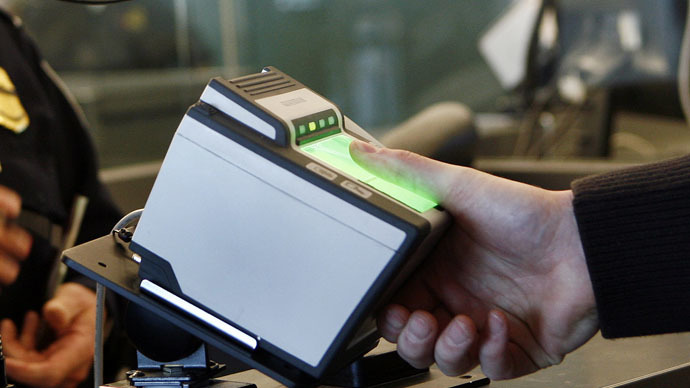 According to NEC, the biometric service being leased to Los Angeles law enforcement interfaces with databases maintained by outside agencies, including state, city and federal police groups such as the California Department of Justice, the Western Identification Network and the Next Generation Identity (NGI) – a system that the FBI elevated to operational status last September, allowing cops in Southern California to quickly, in theory, ID a suspect caught on closed-circuit surveillance cameras with any millions of images on any linked repository. Lt. Thai, the Sheriff’s Department employee tasked with implementing MBIS for LA County, told The Epoch Times last year that law enforcement officers won’t collect biometric data on innocent Los Angelenos, but rather on individuals that have been arrested and booked in county jail or any of downtown LA’s holding centers. Criminal charges don’t always lend to successful convictions, however, meaning potentially millions of records pertaining to non-criminal Californians stand to end up in the database and thus at the disposal of the nation’s largest sheriff’s department. As RT reported previously, the FBI’s NGI system has been built up at a cost of $1 billion over the last several years, with the goal of letting federal investigators easily access a database containing over 100 million individual records that may ink a person’s biometric data – like individualized fingerprints and face scans – with personal information including home addresses, age and legal status. Allegations concerning an absence of oversight and proper privacy protections have alarmed digital rights advocates, however, and DC-based watchdog the Electronic Privacy Information Center previously sued the FBI in hopes of having the bureau disclose as much information as possible about the still infant system. “The NGI database will include photographic images of millions of individuals who are neither criminals nor suspects,” attorneys for EPIC previously argued in legal motions. And although the FBI recently announced that its massive NGI system is finally off the ground after years of development, the latest program to emerge out of Los Angeles will only amplify its scope by linking the details contained within both of those databases, among others. Once completed, County officials intend on holding information on upwards of 15 million subjects within the Sheriff’s Department database, “giving the department a major stake in the Next Generation Identification program,” according to the Center’s report. News concerning the LASD’s contract with NEC was announced less than a week after the Texas firm confirmed that law enforcement agencies in two nearby counties – San Bernardino and Riverside – had entered into similar biometric contracts with the company. Two months earlier, NEC announced that its Integra-ID5 MBIS platform was being leased as a service model to the Western Identification Network, allowing eight states – including Alaska, Oregon, Nevada, and Montana – to take advantage of the system. NEC claims its NeoFace facial recognition technologist received the highest performance evaluation possible when reviewed by the US National Institute of Standards and Technology in 2013 and, by the firm’s own admission, is successful 95 percent of the time at identifying individuals out of a pool of 1.8 million suspects. Keith Raderschadt, NeoFace account manager for the Biometrics Solutions division of NEC Corporation, previously told Malaysia’s The Star that the software can create 3D models of faces using only still images captured by CCTV cameras, and said the company’s systems have already been adopted by the likes of the New York and Chicago Police Departments. For now, though, LA County law enforcement is expected to implement their new biometric system without using it in concert with social media surveillance. “It could be somebody gets pulled over for a traffic violation and he or she does not have a driver’s license on him or her, and the officer is just trying to identify this person,” Lt. Thai said last year to a local NBC News affiliate in explaining the positive benefits of the system. As NBC acknowledged at the time, however, any data being stored in such a system will, for now, stay there for longer than the length of just a routine traffic stop. According to that report, biometric information collected by the FBI on a person without a criminal record will be purged when he or she turns 75.